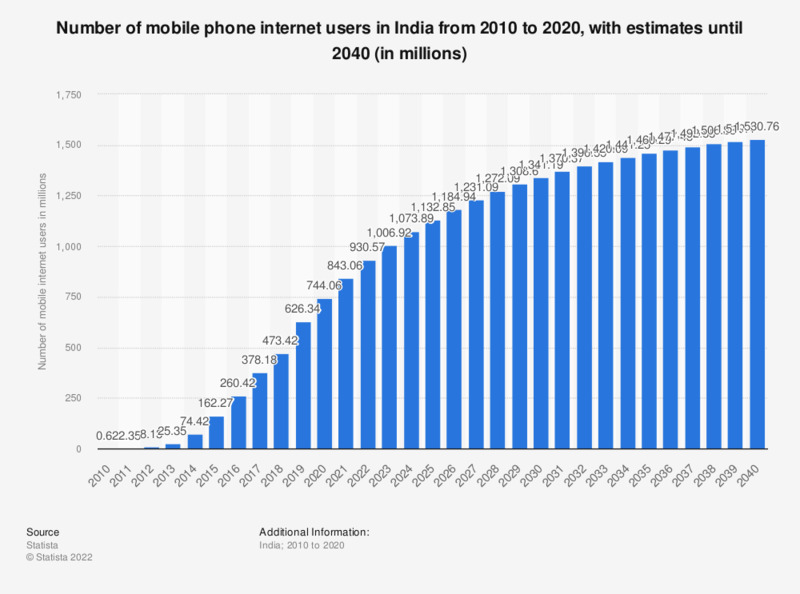 The statistic shows the number of mobile internet users in India from 2015 to 2023. In 2018, 390.9 million people accessed the internet through their mobile phone. In 2023, this figure is projected to amount to 500.9 million mobile phone internet users. Mobile phone users of any age who access the internet from a mobile browser or an installed app at least once per month.